Jupiter will be in Leo until the end of August 2015, so we should expect to feel that lovey-dovey feeling for more than half the year. We should also focus on having a good time, and basically just enjoying life at this time as well. Not only do we feel this harmonious feeling, we will also see that we will be more at ease, and feel extremely relaxed. As a whole, we will see four eclipses total this 2015 year, falling in three months-March, April, and September. During the second half of the 2015 year is when we’ll see many of our major planetary transits. Saturn moves into Sagittarius from June to September, and Jupiter enters Virgo in August. Seriousness and focus tend to rule the roost here. September also holds another planetary event: a Neptune-Jupiter square. If you feel a bit out of touch with everything around this time, don’t be surprised. In October, Jupiter will trine Pluto, meaning we could feel a serious power trip right around this time. Moving back a bit, July to September, Venus will retrograde in Leo and Virgo. 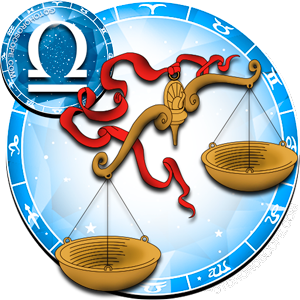 We’ll see love coming into play around this time, but it all depends on which sign it’s retrograding in. 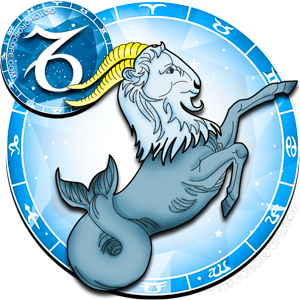 2015 Planets Aspects impacting the whole 2015 year of the Goat. 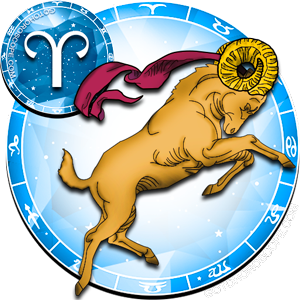 This year, Aries, you’ll have quite the emotional roller coaster. A lunar eclipse will fall in your sign. Be on the lookout for any sudden endings or focusing on something that is holding you back. You will also benefit from a solar eclipse that just barely enters your sign. Beginnings and opportunities are abound for you around this time, so be sure to take advantage! 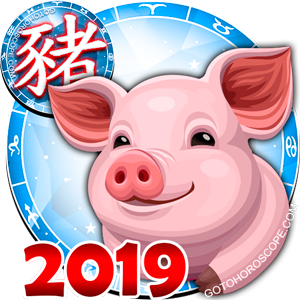 Your year will start off with you in an almost “veg out” state, as January and mid-February have you zapped of any energy. March is a great time for you to get out there and be productive, but April has you fearing any big purchases you may have made so far. May and June work out your brain like no other, and in July and August, you’ll be completely spent. Don’t make any important plans until September, when you’ll have the most energy this year. In October, you could be feeling a bit like the walls are closing in on you, so keep that energy from September going into this month and you should be good. November and December have you longing family and closeness, so connecting with loved ones during this time is key for your year to end on a high note! 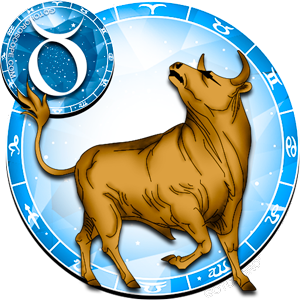 Taurus, look to be experiencing many highs and lows this year! The solar eclipses won't affect you all that much this year, and the same can be said for both lunar eclipses. But, you’ll still feel the pull. For the solar eclipses, you could sense an opportunity coming your way, even though it may be a small one. During the lunar eclipses, a sudden ending could jolt you, but again, it won't be as big. But of course, it's always good to keep an eye out! You’ll be constantly thinking about your future in the beginning of the year, especially in January and February. Stressing about everything will unfortunately plague your March and April, and you’ll feel all sorts of changes that you’re not too sure about, but you’ll just need to roll with it. May has you feeling stressed yet again, but this time, it’s your finances that have you crazed. In June, all your stress melts away and you’re ready to conquer the world, but that won’t last, and in July and August, you’ll have some decisions to make. The changes in the beginning of 2015 that had you stressed will come into play in September, and you’ll be glad for them. October has you in an “all work and no play” mood, and you’ll gear up for your high productivity time in November. Family and togetherness is what you want in December, and they’ll be the best part of the end of the year. 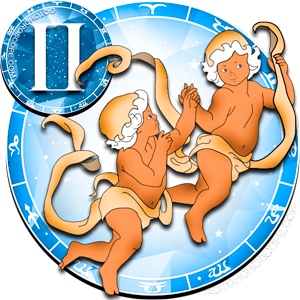 Gemini, be prepared to make your dreams come true in 2015! You’ll have many factors on your side this coming year. The eclipses will have a major impact on your dreams. The early solar eclipse will fall in your dreams sector around the same time Mars will be there, so expect to be pursuing a dream that you have been thinking about unexpectedly! As solar eclipses go, even if there isn’t a dream that you’ve been thinking about currently, you could very well see a pursuing opportunity fall right into your lap. Remember to not waste this time, as later on in the year, this dream could very well become a reality, thanks to the lunar eclipse. This will be a total surprise for you, but don’t worry, you’ll enjoy it. January isn’t very promising, but as you approach February and March, you’ll see it’s only temporary, as these months show your future is very promising. In April and May, you’ll feel annoyed at the world, a total 180 from the previous months. By the middle of 2015, June and July to be exact, you’ll get over whatever was bugging you and will shoot for the stars! August has you wanting to show your creative side, and by September, you’ll be all smiles, as those dreams from earlier in the year become a reality. October has you thinking about your current relationships, and in November, any good vibes vanish and you’ll want to run away. December has you occupied with your thoughts, and if you don’t look around, you’ll miss everything! 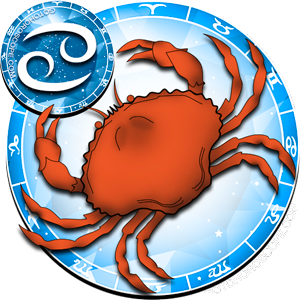 Cancer, it looks like you’ll have yourself one difficult year in 2015. The planets, unfortunately, are not on your side. You’ll have trouble getting any kind of control in your life. One positive part (if you want to look at it that way) is that this energy will be mainly from others around you, as opposed to all this happening inside you. So, if you get the chance to lay low during this time, you’ll get through it fairly unscathed. Another rough time is during the latter half of the year. Uranus will be in Aries, which will happen to be at a harsh square to your sign. Unfortunately, this isn’t good news for you, Cancer. You want to make a change in your life, as you’re too agitated with it at this point and time. The lunar and solar eclipses, thankfully, won’t bother you all that much this year. Of course, you’ll still feel the pull like everyone else, but it won’t be that bad. January and February are your high peaks this year, as is March, so take advantage accordingly. April has you an emotional mess, and your past comes back to bite you (if you let it) in May. Your creativity comes back with a vengeance in June and July, and you’ll be so glad to be able to express yourself again. August has your stress levels maxed out, and September doesn’t help matters with its communication issues. October has you questioning your career path, and in November, you’ll be an emotional mess-again. Once December comes, you’ll be so emotionally spent you won’t know what to do with yourself. Try reconnecting with a loved one, you’ll feel so much better. Oh Leo, you’ve got quite the interesting year coming up in 2015! 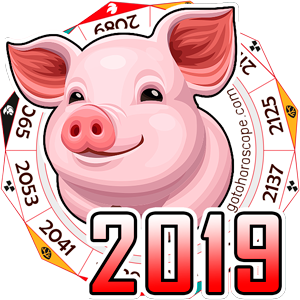 Optimism will be the name of your game this year, as you’ve got both Jupiter and Mars in your sign at the same time, including a Mars visit to your dream sector. Although this would normally give you the energy to tackle your dreams and desires, Mercury is also retrograding at the same time (during the Mars dreams event), in your same sector. Making any decisions worthwhile is not a good idea at this time, simply because of this, but don’t worry, because you’ll see during the next Mars transit that waiting was the best idea ever! 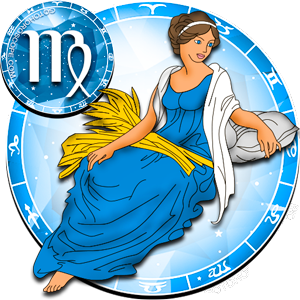 A second Mercury retrograde messes you up, as will a Venus retrograde, in your sign. 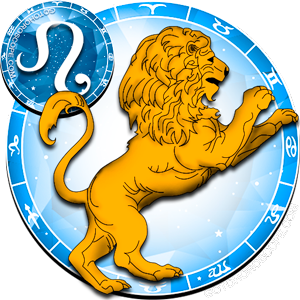 The eclipses won’t affect you much more than usual in 2015 Leo, so you won’t need to worry about them too much. From the very start of the year, in January, you’ll want to be with your loved ones. Unfortunately, February comes and messes that up. March has you feeling especially positive about everything, and in April, you’ll be all about making everything happen. In May, you won’t be so confident about your future, and June has you wanting to get out of your rut at home. July has you rushing to get anything important done, and in August, you’ll see why…you got lazy. In September, constantly keeping busy is a good idea. October and November are challenging months, emotionally, for you. And, in December, you’ll be all about the holiday season and being around family-exactly like you started 2015! You’ll see Jupiter entering your sign this year, Virgo, and you’ll welcome it with open arms. Be sure to take full advantage of this event, because you won’t get many other opportunities like this. Jupiter entering your sign always brings goodness into your life, and great opportunities as well. 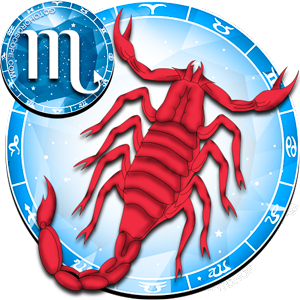 You’ll have Mars entering your sign, and this will, no doubt, be the best time for you when it comes to grasping opportunities. You’ll be completely driven, focused, and will be oozing confidence during this event, so take advantage of it and take part in a project that you’ve had your eye on for a while. The latter solar eclipse will fill you with happiness and new opportunities. This is another event you cannot miss, because it won’t be happening for a while again! But, luckily for you, this isn’t a one-and-done event. It will last you for quite a long time. January will be a month of highs and lows, literally. Just ride the waves as they come. February has you wanting to spread your love far and wide. In March, any business opportunity that comes up, take it. April and May have you feeling super sensitive and insecure, and June and July have you annoyed. In August-October, your good energy will be at an all-time high, and just an excellent time for you! November and December have you dealing with inner issues, but you’ll know better than to make a huge deal out of it, and you’ll be glad to just be able to enjoy your family time. You’ll have quite the exhausting year in 2015, Libra! Preparedness and patience are the keys to get through the rough times, and believe me, you’ll need to practice both quite a few times in 2015. We’ll see a lunar eclipse in April, and it’ll affect you more than usual. You’ll feel very emotional and sensitive to everything during this time, and it could be because of the endings that are happening in your life out of nowhere. The choices that you make will also impact you during this time. If you’ve been making good choices around the eclipse, then you will get a good output, but, naturally, if you don’t make good choices, then you’ll have quite a bad time during the eclipse. For any bad transits this year, you can overcome them. You just have to believe that you will and allow yourself to transform into the next awesome part of yourself! January has you feeling like a workhorse, and this will last into the beginning of February, where afterward, you’ll want to be around loved ones constantly. In March, that feeling from the end of February will continue, and you’ll be yearning for commitment, in any way, shape, or form you can get it in. April and May will be rough months for you, and you’ll be sensitive to everything. In June, you’ll be Mr./Mrs. Frugal, but it won’t bother you one bit. July has you wanting to reach for your dreams, and you should. August, September, and October will be not so great for you, but you’ll need to keep your head up until the end of November and December, when you’ll welcome the holiday season with open arms. You’ve been through a lot the past couple years, Scorpio. Saturn being in your sign for the past couple of years has really wreaked havoc on your life, and you are beyond over it. Thankfully, 2015 promises to rid you of the issues that Saturn has caused. You will see Saturn out of your sign, officially, by August, so the second half of this year will be wonderful for you! You’ve been through more than any person should have, and you’ve learned many lessons, more than you probably really needed to learn. No doubt, you’re ready to move on, and that’s what 2015 is all about for you. You’ll have the solar eclipse in September to look forward to as well. What does all this mean, exactly? Well, for you, this means you are given an immense opportunity to make your dreams come true. This is something you should really be looking forward to, as you’ve been through so much up to now, that anything good sounds perfect to you. January is a rough month for you, but February and March have you in a much better mood. April and May have you extremely moody and irritable. In June and July, you’ll be all business, and you’ll clean up your life accordingly. August has you being lazy and lethargic, and in September you’ll need to let go of a past event. October has you analyzing every part of your inner self, which you’ll have to watch out for. To end the year, in November and December, you’ll be all about comfort, family, and friends, just the way it should be this time of year. 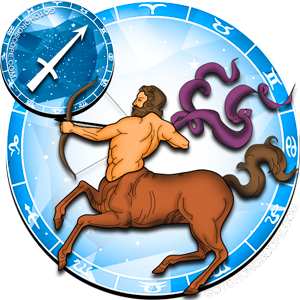 Unfortunately, Sagittarius, you’ve been pegged by the cosmos as Saturn’s next “victim”, as it enters your sign and gets too comfortable for your liking. Saturn in your sign means that anything, and everything, can and will go wrong, and nothing will go your way. It’s a crappy time for you, and unfortunately there’s not much you can do about it. However, by basically making good choices and being a responsible person, you can avoid most of the pitfalls you’ll tend to experience at this time. One bit of good news though: you have practically the whole year to prepare for this event, so make sure you do! The solar eclipse in March will be a great moment for you though, so be on the lookout for it. In January, be sure to watch what you say and who you say it to. February and March are nice, relaxing months for you, so take advantage! April has you thinking, constantly, about your future. In May, you’ll just be annoyed at the world, but it won’t last. June and July have you thinking, and looking at a new lease on life. Moving onto August, you’ll be all about your career choice and your goals. September and October are the most difficult times of the year for you, and it’ll be very hard to keep your head up. November and December have you feeling better about everything, and every opportunity that comes your way will just make sense in ways you never thought possible. You’ll see Pluto entering your sign this year, Capricorn. Pluto is known as the planet of war and power, so don’t be surprised if you feel a huge power trip come on. Your passion is unsurpassed right now, and you’ll even have the tendency to be downright obsessive about certain things. Jealousy is also a big part of your power trip, and those close to you (and even some acquaintances) will be very reluctant to deal with you during this time. Your seriousness about life is also at an all-time high, and it’s making you want to make some drastic changes. Change is your middle name in 2015, Capricorn, and remember: although it’ll be rough at that point and time, change is always good, and you’ll feel it once it happens. January comes, and you’ll be tightening those purse strings. In February, you’ll be all about home and community. March and April have you reaching out for new opportunities. In May, you’ll be lazy and won’t be able to function like you should. June comes, and you’ll be able to see what progress you’ve made this year so far, big or small. In July and August, you’ll be all about your loved ones. September and October will be serious emotional months for you, but in November and December, your inner self will resonate positivity, and you’ll want your ideas to flow freely. 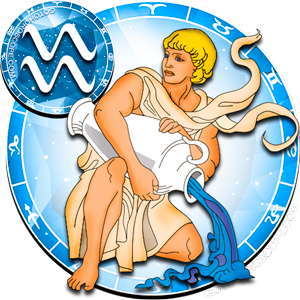 Aquarius, you’ll start off 2015 on a positive note, thanks to Mars entering your sign back in December of 2014 and resonating until the beginning of 2015. Positive energy is practically oozing out of you, and you’ll have the drive and enthusiasm to get things done. Your productivity will more than double to start off the year, and that’s always a good thing. 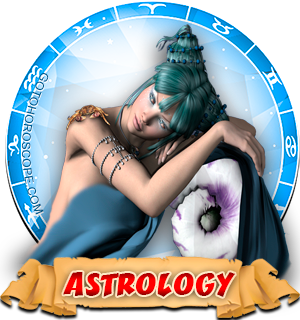 Unfortunately, this feeling may go off the deep end for a bit, as Mercury retrogrades in your sign. You’ll have an extremely tough time getting any thoughts to come across clearly, and that will frustrate you to no end. No one will understand what you have to say, so if you have something important you want to get across, you may want to wait until the retrograde ends. Luckily for you, this is a relatively short event, so you only have to suffer with this for a month or so. Going with the flow will help you to not get beaten down during this time. January and February are great, positive months for you…aside from the Mercury retrograde. March has you coming up with all sorts of ideas, and you should think about them becoming serious commodities. April has you feeling in touch with your belief system, and May has you wanting to restart an old hobby. In June and July, you’ll be working hard at everything, including your goals, and once August and September come around, you’ll be glad you worked as hard as you did, because you’ll be in a sour mood. October and November are all about making everything happen, including a potentially important partnership, and in December, you’ll see why you made those decisions and took those opportunities. 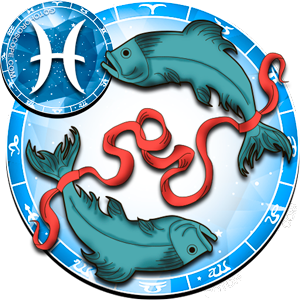 You have a great start to 2015 Pisces, as you’ll have Mars entering your sign. You have great energy right now, and you’re very energetic and excited about starting up a new project or opportunity. You have the ultimate control over your life, and you’re very enthusiastic about everything. Make sure you take advantage of this energy, because you can get so much accomplished and it will only help you in the future. Later on in the year, we’ll see your ruling planet, Neptune, in your sign. Your imagination is high right now, and buying into fantasy sounds better to you than facing reality. Your daydreams will dominate your thoughts, and you’ll feel a strong connection to them during this time. Reality gets lost in the mix, and you really don’t want to deal with anything related to it. You can gather this delusional energy, and put it into your work. This time is the inspiration jackpot, and you’ll be able to get a lot done, maybe even be able to profit off of what you can create during this time. You become very vulnerable, but at the same time, you’re extremely charismatic, and that appeals to everyone. Be careful at this time though, because of your vulnerability right now, you’ll have the tendency to trust everyone, and this is never a smart idea. You’ll start of the year with high, high energy in January and February. March and April have you busy, and oozing confidence. In May, you’ll want to reconnect with a long lost loved one. June has you wanting to better yourself in any way possible, and July has you wanting to be playful and energetic. August has you feeling a bit lazier than you’ve been so far this year, and in September, you’ll re-evaluate your business relationships. Speaking of business and your career, October has you thinking about not only that, but your goals for every other part of your life. In November, you’ll be feeling especially charismatic, and you’ll use it to your advantage. December has you thinking about your goals more seriously than ever, and you’ll be read to move onto the next big chapter of your life.